Why Are Illegal Diet Pills Dangerous? Illegal weight loss pills have a track record of being extremely dangerous, and therefore should be strictly avoided. Diet or weight loss medications that aren’t legal have not successfully completed the rigorous safety and efficacy tests set out by the MHRA. There is currently only one prescription weight loss medication which is legally available to buy in the UK: Orlistat. It is also marketed and sold under the brand names such as Xenical and Alli. In order for orlistat to be safely prescribed, a patient must undergo consultation with a doctor. In this consultation, a doctor will check a patient’s BMI. Websites that sell illegal diet pills are unlikely to offer doctor consultation or perform safety checks. Consequently, their practices put those buying the pills at considerable risk. Illegal weight loss drugs are unregulated and therefore do not meet the criteria set out by the MHRA. These can be very dangerous and potentially pose a severe risk to health. Those sites that promote illegal diet pills often cite appealing claims about speedy weight loss results. For the reasons stated above, these claims are obviously not based on scientific fact. Because illegal diet pills have not been subject to the appropriate checks, there is no way to verify their effectiveness. It’s perhaps a minor issue when compared to the potentially fatal threat to health they pose, but this means that those buying illegal diet pills are in all likelihood wasting their money on a product with no benefits whatsoever. Several tragic cases of illegal diet pill use have featured prominently in the news in recent years. The side effects reportedly experienced by users can vary wildly, causing permanent damage to health and in some cases even proving fatal. Regulated diet medications may also cause side effects in some users. However, these will be studied under controlled conditions and detailed in the patient information leaflet. If a medicine has the potential to pose a serious risk to health, it will either not be made available by the MHRA at all, or be very tightly controlled and only prescribed under conditions where it is absolutely necessary. This allows all potential patients to make an informed decision about their weight loss treatment. Illegal weight loss medications may contain banned substances. The MHRA has seized high numbers of diet tablets that claim to be herbal; when in fact tests discovered that artificial ingredients were present. One such element was sibutramine which was banned throughout Europe in 2010 after being linked to heart attacks and strokes. Another illegal diet drug is known as DNP (dynamic nutrient provider) which is normally used as a plant fertiliser or pesticide. If swallowed by a person it can kill. It is therefore obviously illegal to sell DNP either as a diet product or for any kind of human consumption. Any websites offering to sell this product under the guise of a diet aid should be completely avoided. 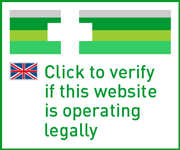 If you suspect a website is selling illegal products you can report them directly to the MHRA. As well as the use of prohibited substances, some ingredients in illegal diet pills might not be declared. For instance, counterfeit diet products have been found to use stimulants, diuretics and antidepressants. The presence of these ingredients in unregulated amounts can lead to the severe side effects listed above. Before a doctor prescribes a drug to a patient they will screen for potential contraindications. This includes medical conditions and any medications that the patient is already taking that might have the potential to interact with any newly introduced drugs. These important aspects will not be taken into account if you buy illegal diet pills which could put your health or life at risk. If you do wish to purchase herbal remedies you should search for those that display the Traditional Herbal Registration (THR) logo and a THR/PL number. These help consumers identify herbal remedies that have been properly assessed by the MHRA. If you wish to commence a weight loss programme with the help of weight loss tablets, you should firstly speak to a doctor. They will be able to offer the best advice and check that it is safe for you to use such medications. Alli Price includes your prescription, your medicine and 24hr delivery. Orlistat Price includes your prescription, your medicine and 24hr delivery. Xenical Price includes your prescription, your medicine and 24hr delivery. RI and GDA: what are they? How can I keep my weight stable?